Easy tips to implement today. Finance, money, and our financial condition are some of the most unpopular topics to talk about, and this is true whether we are speaking with our work colleagues or even our immediate family. Money management and keeping track of the ins and outs of our personal and possibly even small business finances is not necessarily something that comes intuitively to everyone. In fact, most people have not taken a financial management or planning course since high school, or possibly some rudimentary personal finances course in college. That said, and although this might be an obvious point, it bears repeating, finances and money management are topics that have a direct impact on our lives. 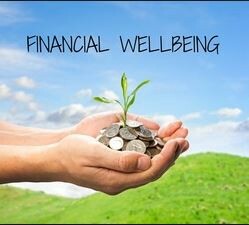 Specifically, worries and stresses over the status of our money and personal finances, even if we are in a relatively good position, can have detrimental effects on our health. Unfortunately, the negative effects to our well-being that are caused by stressing out about money are not limited to headaches and an upset stomach. Chronic stress, worry, and comparisons of your financial condition to where you want to ideally be, your peers, and where you have been previously can lead to a host of negative long-term health effects. Additionally, if that was not bad enough, constantly being frazzled and stressed out about money can sap happiness and satisfaction from events and activities you would have otherwise enjoyed. 1) Get organized — Assembling and organizing your bills, credit card statements, banking information, and other assorted financial data is essential in developing a financial plan. 2) Set your goals — Putting goals down on paper has been statistically proven to improve the odds of achieving them. Set short, medium, and long-term goals, start chipping away at them, but don’t forget to reward yourself along the way. 3) Get a budget buddy — Just like it is always easier to work out if you have a gym buddy, choosing a budget buddy will help keep you motivated and going when you might want to slack off. 4) Celebrate the little things — The little things are, so often, what makes life enjoyable, and breaks up some of the more mundane tasks we all so often find ourselves doing. For ever mini-milestone you hit, for example, treat yourself to a nice dinner out, a new tech gadget, or whatever seems like a good reward to you. As the saying goes in business, what you measure is what you will manage, and in this case putting together a plan is the first step toward getting a better handle on managing your personal finances. Getting a plan together, acknowledging where you really are, where you want to go, and what you need to do moving forward will help 1) reduce stress 2) motivate you to make good decisions, and 3) give you the confidence that you can do this. While simply putting together a plan and organizing your financial information will not magically improve your finances, it will set you up for future success. The first step on any journey is always the hardest, but taking this first step will improve your finances and you well-being. What is the possible downside?